The massive displacement crisis stemming from Syria’s ongoing conflict is increasingly visible from space. Satellite images on Google Earth reveal the growth of what in some cases looks like the emergence of whole new cities over the last two years. A new project published today by one of our volunteers, Richard Cozzens, presents some of the most compelling images, providing a grim snapshot of the dire humanitarian situation in and around Syria. The satellite images show camps in the countries that are most affected by the influx of refugees, such as Turkey and Jordan. 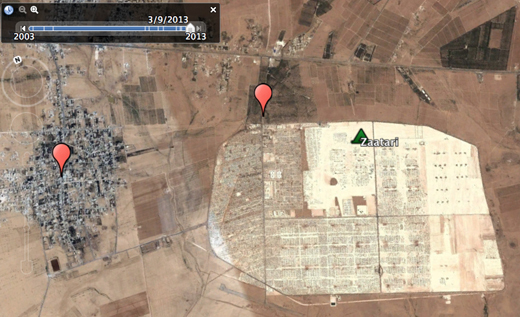 For example, what was an empty spot in the desert in September 2011 is now the huge refugee camp Zaatari in Jordan. 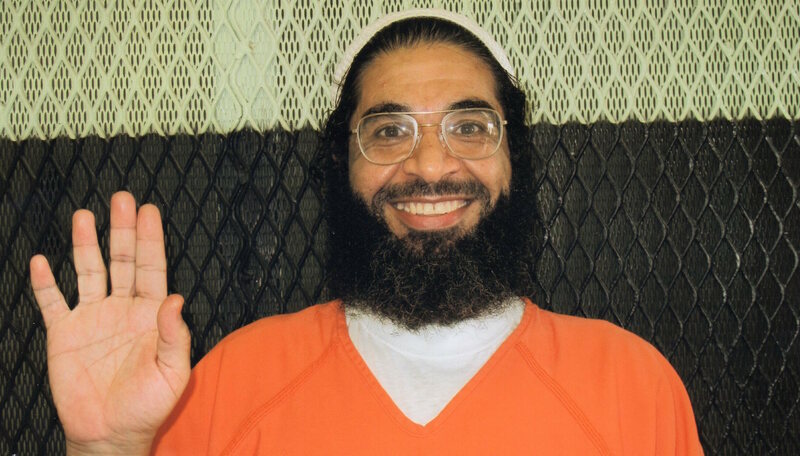 Today is the tenth anniversary of Shaker Aamer’s arrival at Guantanamo Bay. Even though he was cleared for release in 2007, he still languishes in a cell there today. Shaker is a British resident of Saudi descent. He was captured in Afghanistan in December 2001 and was one of the first detainees transferred to Guantanamo when it opened in 2002. We have seen much of the intelligence on which the US originally based its decision to hold Shaker courtesy of the WikiLeaks website. Shaker’s Detainee Assessment Brief (DAB) revealed that the bulk of the case against him had been assembled from the testimony of other detainees at Guantanamo. 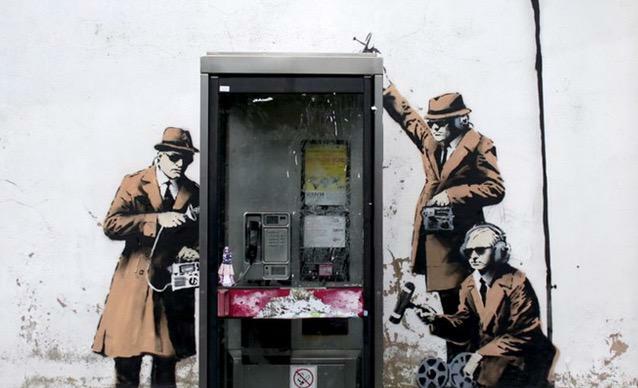 A commissioner for a body monitoring the sustainability and ethics of the London 2012 Olympics has resigned over its links with Dow Chemical, the company mixed up in one of the worst corporate related human rights disasters of the 20th century. Shaker Aamer, a former UK resident of Saudi descent, has been held without charge at the US detention center at Guantanamo Bay, Cuba, for nearly 10 years. He was cleared for release by the Bush administration in 2007 but is still inexplicably incarcerated more than four years later. Shaker was detained by irregular Afghan forces in Jalalabad in December 2001, shortly after the beginning of Operation Enduring Freedom. By his own account he had been in Afghanistan working for a Saudi charity and no compelling evidence refuting this contention has been presented. The Death Penalty Information Center released its Year End Report today. While there were no major turning points for the U.S. death penalty in 2010, the unworkable and degrading nature of capital punishment continued to reveal itself throughout the year. There were lots of executions early – the first three executions took place on the same day, January 7 – but the pace slowed considerably, and the last two months of the year saw only two executions total. There were 46 executions in all, in twelve different states. Here are four major themes that emerged in 2010. Yesterday, approximately 55 Arabs, including 14 children, were evicted from their houses in east Jerusalem neighborhood of Sheikh Jarrah after the Israeli Supreme Court ruled in favor of Jewish families that claimed ownerships of the property. Soon after the evictions, these families moved in under the protection of Jerusalem police. However, the US, UN, and UK have all come out strongly against these evictions. “Unilateral actions taken by either party cannot prejudge the outcome of negotiations and will not be recognized by the international community,” the State Department said in a released statement. Chris Gunness, spokesman for the U.N. agency in charge of Palestinian refugees, said that the Arab families had been living there for more than 50 years. Evictions, settlements, and the greater question of Jerusalem remain among the most contentious obstacles to a sustainable peace. Actions such as this are contrary to the provisions of the Geneva Conventions related to occupied territory.